The Glassmeyer/McNamee Center for Digital Strategies (CDS) at the Tuck School of Business focuses on enabling business strategy and innovation. Digital strategies and information technologies that harness a company’s unique competencies can push business strategy to a new level. We foster intellectual leadership by forging a learning community of scholars, executives, and students focused on the role of digital strategies in creating competitive advantage in corporations and value chains. We accomplish this mission by conducting high-impact research; creating a dialogue between CIOs and their functional executive colleagues; and driving an understanding of digital strategies into the MBA experience at Tuck. Connecting practice with scholarship anchored on digitally-enabled business strategy, innovation and processes. Convening executive groups for roundtable discussions focused on the role of digital technology in enabling business strategy. 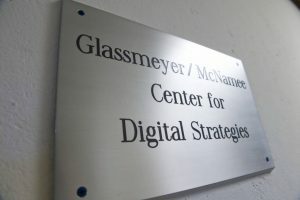 The Glassmeyer/McNamee Center for Digital Strategies, a part of the Tuck School of Business at Dartmouth, is dedicated to advancing the theory and practice of management in the digital, networked economy. 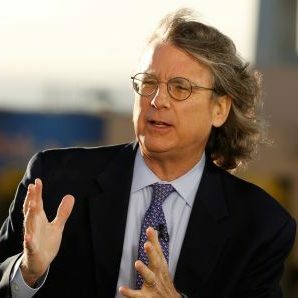 Ed Glassmeyer T’68 and Roger McNamee T’82, both Tuck alumni in the technology venture capital arena, agreed on the need for increased research and thought leadership on the ongoing impact of information technology and the web on how corporations function. Founded in 2000, the Center for Digital Strategies (CDS) generates insight into the way firms use digital technology to create value both within and for the value chain and customers, and fosters thought leadership by forging a learning community of scholars and executives. Q: What is the primary content focus of the center? A: We focus on the enabling role digital technologies play in business strategy. Within that, we have five areas of expertise; Enterprise Transformation, Technology & Innovation, Digital Business Models, Information Security & Risk, and Digital Society. Q: Does the center focus on startup technology ventures and the tech industry? A: While it is useful to understand startups, we focus on the broader changes technology has in large enterprises across all industries as they implement collaborative digital technologies both within the enterprises, as part of a value chain, and for the customer. Q: What opportunities does the center offer Tuck’s MBA community? A: The center provides a broad range of learning opportunities, including programming and support for the entire MBA community, and more focused programing for smaller groups of students seeking greater depth in digital strategies. Our goal is to meet students where they are in their personal journey, to better enable their pathway of learning through their MBA at Tuck. Q: Who is the center’s chief corporate constituency? A: The center focuses on digital strategies from a general management perspective, which is consistent with Tuck’s history as a general management MBA program. Whether you are a chief executive or an MBA, the center can help you understand how to lead digital transformation, stay ahead of changing customer dynamics, leverage data and analytics to make better management decisions, and deploy emerging technologies to grow your business. Q: Does the center offer any MBA Courses? A: We work our affiliated faculty to provide meaningful courses as part of the Tuck curriculum. Read about our current affiliated course offerings. A: Our offices are located in Hanover NH, on the second floor of Tuck Hall (Tuck 205). 100 Tuck Drive Hanover NH, 03755. Q: I want to learn more about the center for a student’s perspective. How can I find a student who works with the center? A: The second-year MBA Fellows are a perfect fit for this. They will be able to talk about how the center has enabled their pathway of learning. If you are on campus, you can always come up to our offices and speak with any of the core team. Q: How can I attend CDS events? A: All students, staff, and faculty will receive an email from the center with event details and how to sign up. If you are part of the broader Dartmouth community, and the event is open to the public, you can sign up for the event on our website. That being said, we also record all of our public events and post the event videos on YouTube afterwards. Q: Does Tuck have any other centers? A: Tuck has a few different centers. All with their own area of focus, Tuck’s centers and initiatives foster intellectual leadership and industry-specific exploration by building a community of scholars, executives, and students focused on a particular topic.